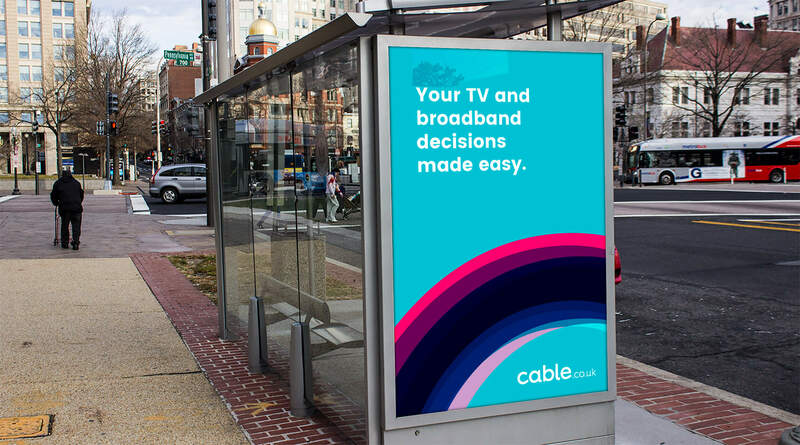 Since cable.co.uk began its advice service, the team have always put the needs of consumers first, solving practical problems for consumers and are a voice for broadband and TV customers in a noisy and sometimes complex market. 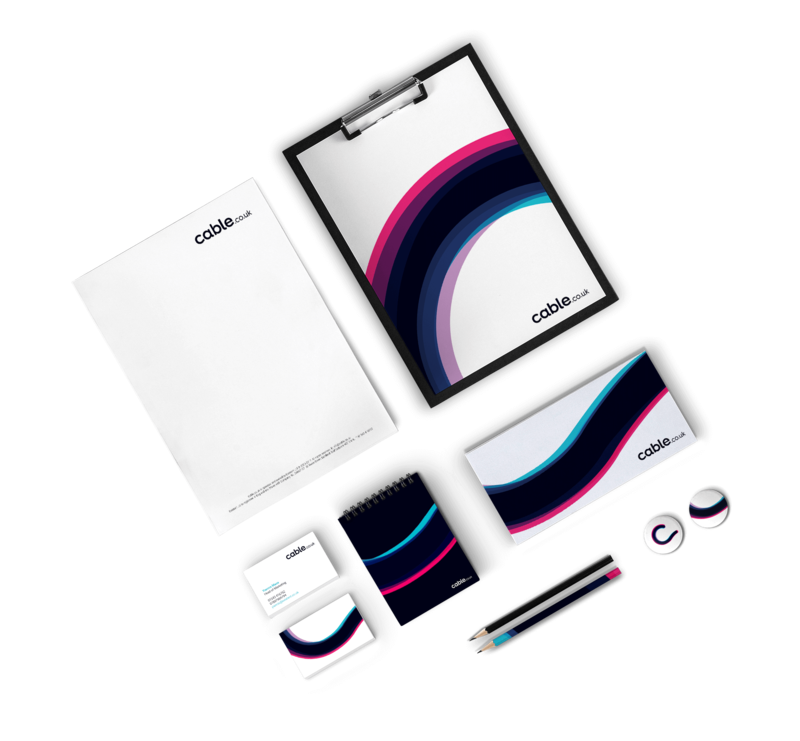 We were delighted to work on the rebranding of cable.co.uk. 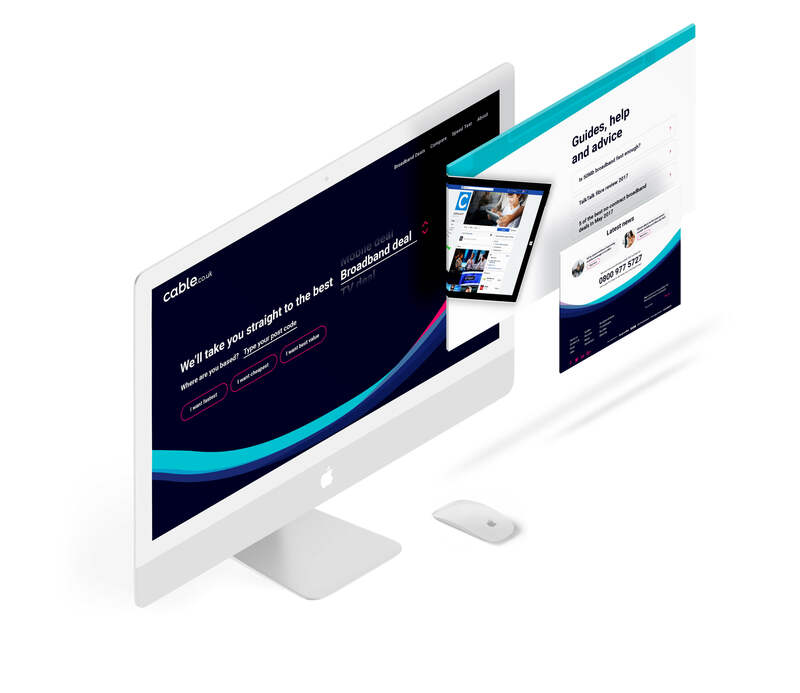 During the discovery phase, we worked with Cable.co.uk to develop user personas for their service. 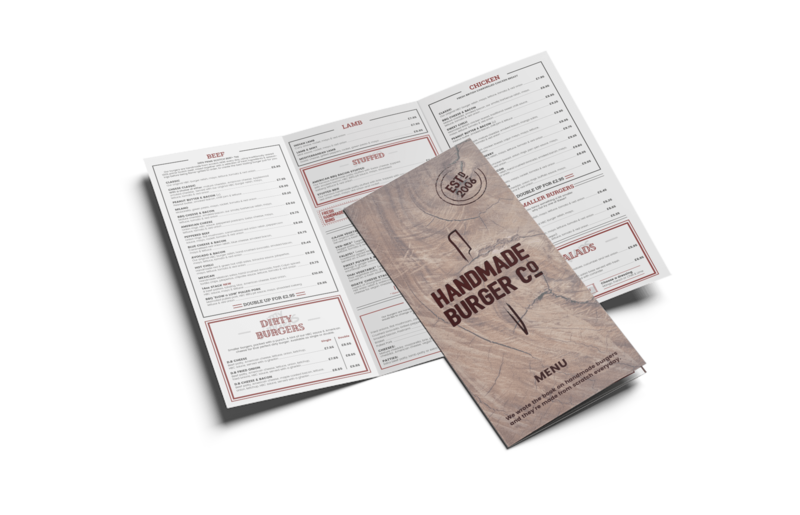 Through this, we developed a deep understanding of their market and were able to develop a set of positioning statements and refresh the visual identity. By using the C from cable and inspired by cables and colours of fibre optics, the new logo and brand assets are fluid, vibrant and the clean, customised typeface portrays strength and customer service. 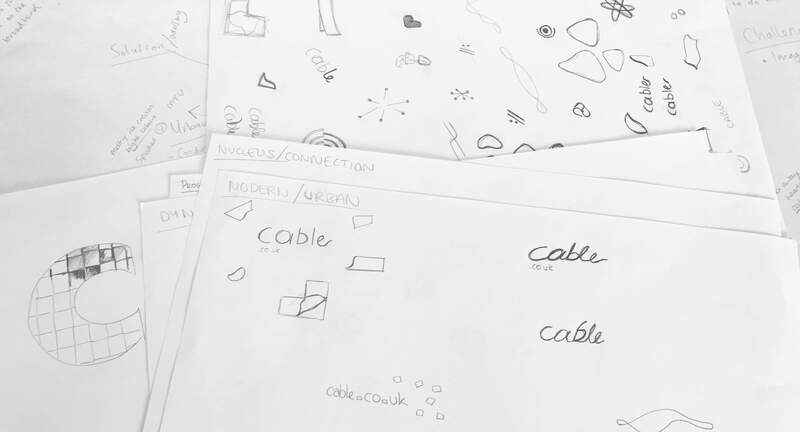 For the ever changing website, we created a set of style guides and templates for the cable.co.uk team to implement. We provided art direction on how the digital landscape should look for the brand and carry forward the messaging. Want to view another project?